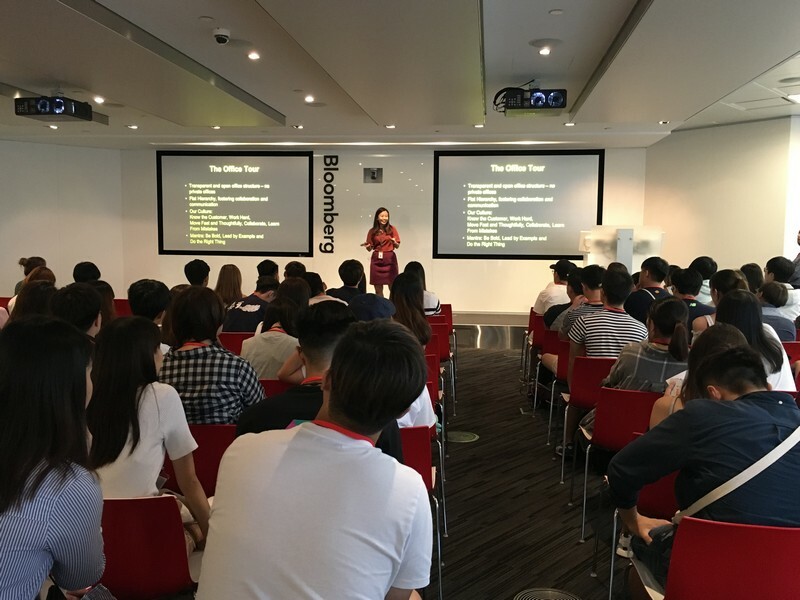 Around 100 students majoring in Journalism and Communication visited the Bloomberg office in Hong Kong on 4 Oct 2017. They were received by Ms Fion Li, the Bureau Chief of Hong Kong Bloomberg. 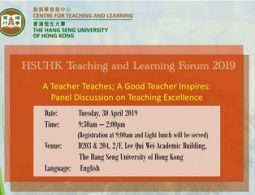 Teachers and students were briefed about the corporate development and business edge of Bloomberg, which include its strong database and intelligence, quality and updated reporting and in-depth analysis. 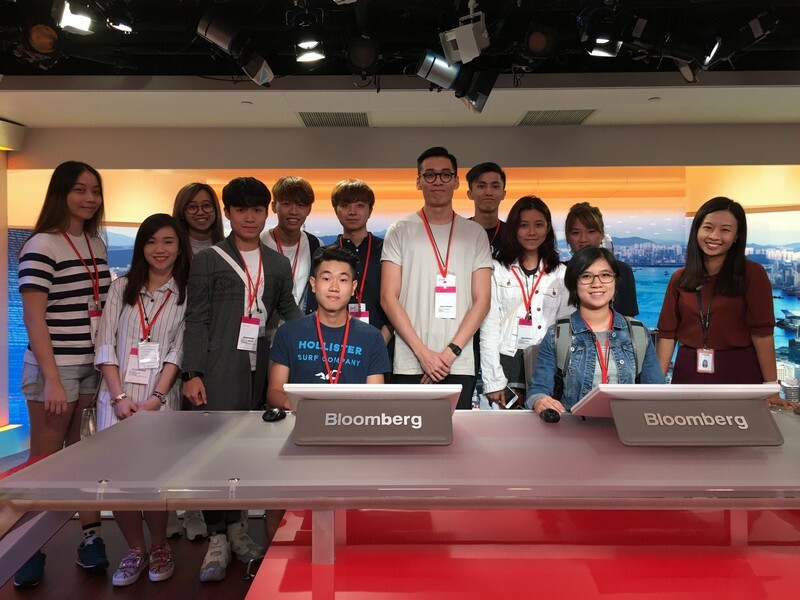 Senior journalists of Bloomberg also took teachers and students to the news desks, production rooms and other office facilities. 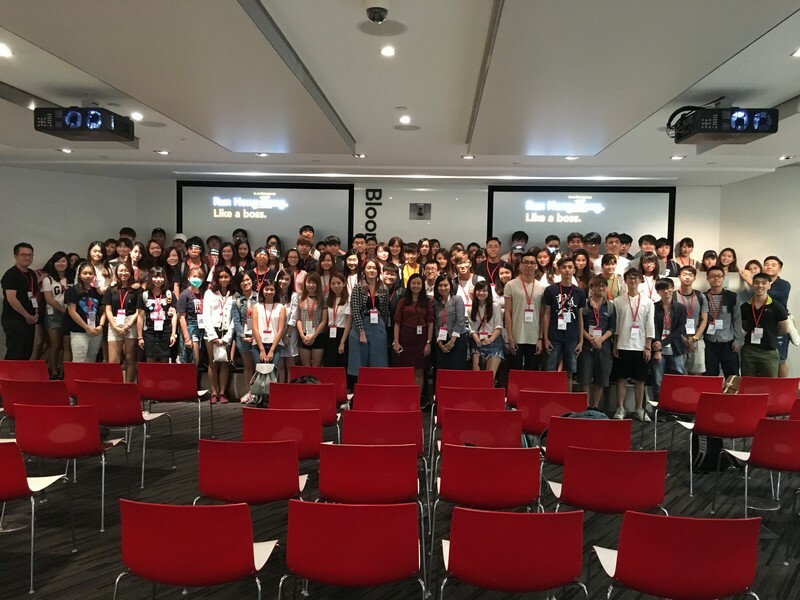 Bloomberg’ internship scheme was also introduced. 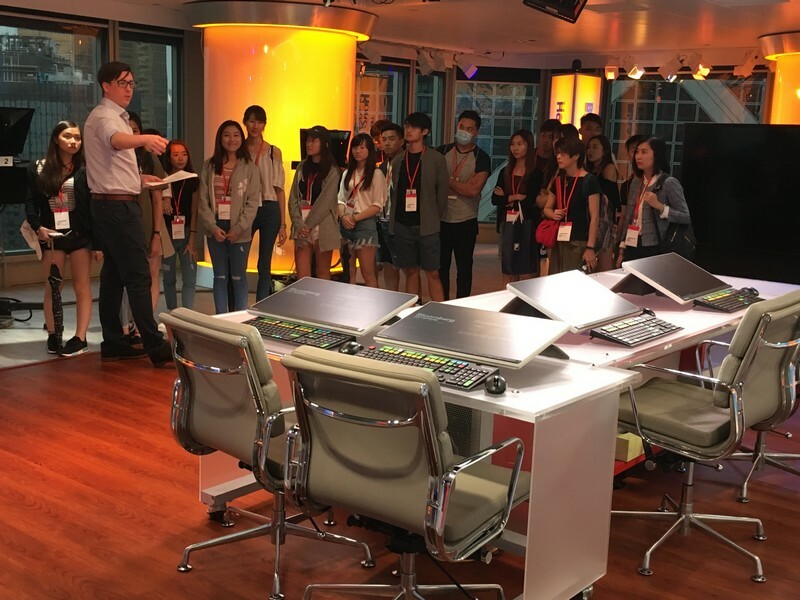 Ms Fion Li (1st from right), Bureau Chief of Hong Kong Bloomberg, showed the students operation of the production room. Learned more about business development of Bloomberg and visited different places in its office.